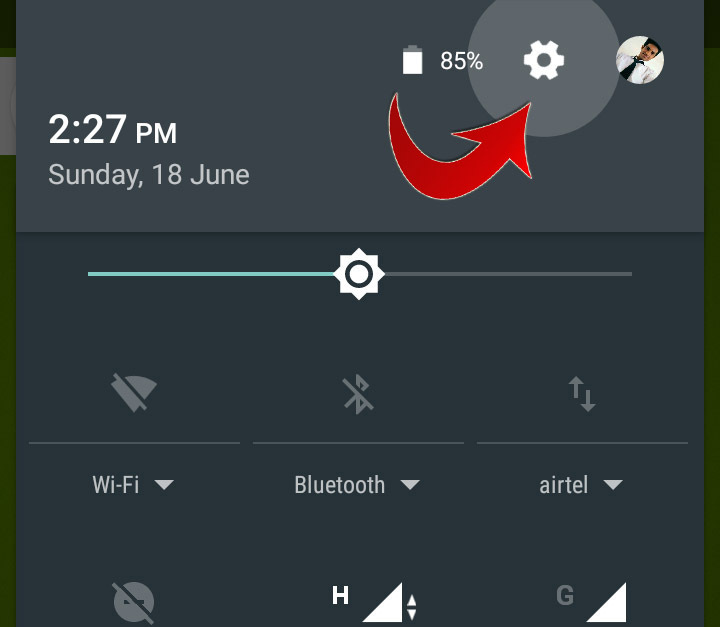 Enabling battery percentage is standard fare if you’re using a handset made by Samsung, LG, Motorola or HTC. All you need to do is head into your phone’s settings and toggle an option to display the percentage in the battery icon. Here’s how to add a more exact percentage to that icon. 1 Swipe down on the notification panel. 2 Press and hold on the Settings gear icon for five seconds. It will start rotating. 3 You’ll see a notification that says System UI Tuner has been enabled. 5 Navigate to System UI Tuner. 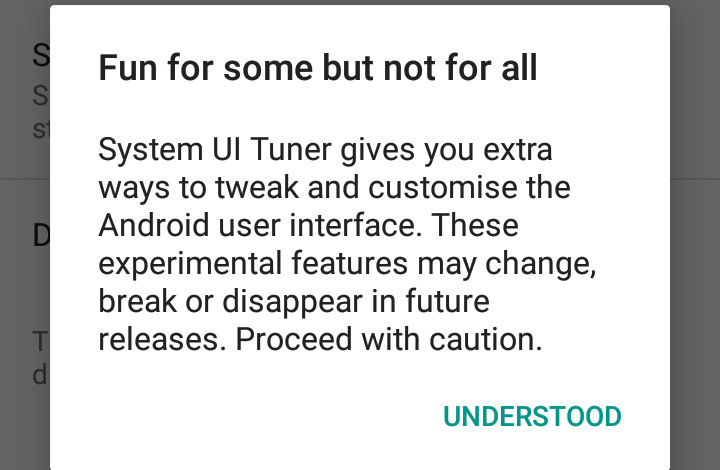 Tap the System UI Tuner option in the Settings window that appears, and accept the warning that pops up. 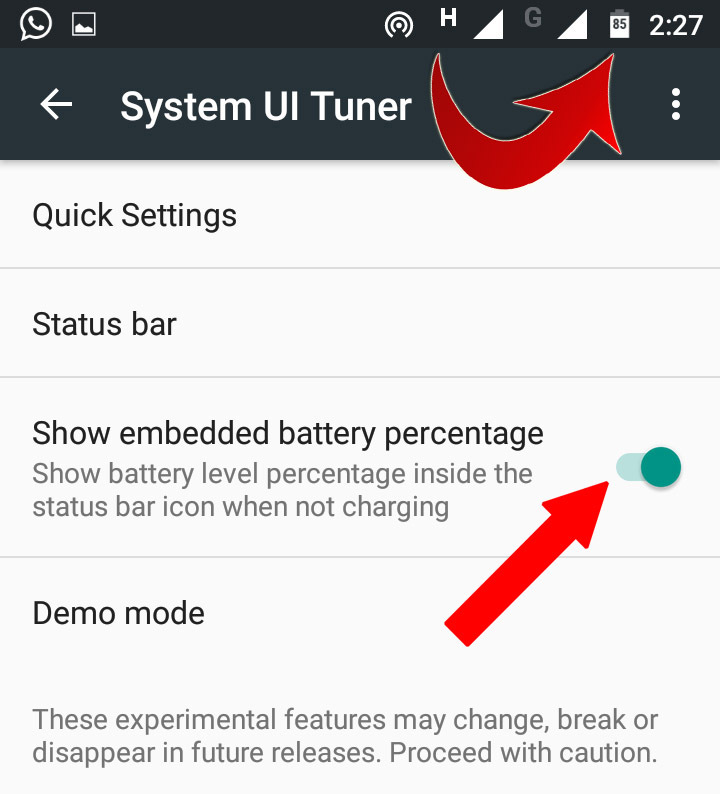 6 In the System UI Tuner menu, select Status bar. 7 Select Always show percentage. 8 Now you’ll see the battery percentage in the status bar icon. 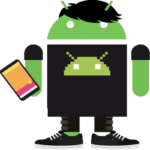 1 Open the Google Play Store on your phone (or head to the Google Play Store in your computer’s browser) and search for Battery Percent Enabler. Select the app from “kroegerama” (there are a few apps with the same name). 2 Once installed, click the “Open” button that appears (or navigate to the app in your app drawer). 3 Check the “Enable Battery Percent” box and reboot your phone. 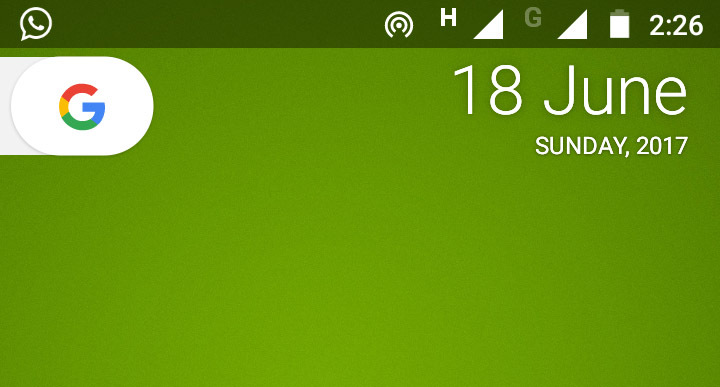 4 After rebooting your phone, you should find that Android’s battery icon shows how much of a charge it has.